The tweet defeat JPMorgan inflicted on itself on Wednesday reveals multiple failures. The Wall Street bank beat a hasty retreat from a Q&A it had proposed to host on Twitter with its top dealmaker, Jimmy Lee, after receiving a barrage of snarky responses to a request for tweets under the #askJPMorgan hashtag. The episode suggests that the bank’s executives grasp neither how the human newswire it took public functions nor how much banks are reviled. It shouldn’t be surprising that the top executives at the New York bank led by Jamie Dimon didn’t anticipate such a backlash. Few, if any, of them appear to be active on Twitter, even though JPMorgan helped lead the internet firm’s stock market debut last week. But anyone with even a passing interest in the platform knows that the twitterati are raucous, chaotic and virtually impossible to control. So inviting comments from the world’s tweeters was asking for trouble. To do so when your bank has spent the past 18 months as the American whipping boy for every infraction in finance, from losing $6 billion on dodgy trades to fines of perhaps twice as much for mortgage shenanigans – well, call it an extreme example of Wall Street tin-ear syndrome. JPMorgan managed to compound the error by cancelling Lee’s Twittersphere coming-out. That robbed it of the chance to show it’s savvy enough to use the site to its advantage. For example, “Shamu,” is the sort of answer to “What’s your favorite whale?” that could earn grudging respect from online wags. Thoughtful responses to more sober questions from people suffering from home foreclosures could have shown the bank has a heart. JPMorgan isn’t the only corporation to struggle with the Twitter frontier. McDonald’s and others have, too. That raises a serious question for Twitter and its shareholders: how will it increase revenues if companies find the platform hostile? And unlike JPMorgan’s Jimmy Lee, Twitter can’t just dodge the issue by retreating into the confines of a cozy Manhattan office. 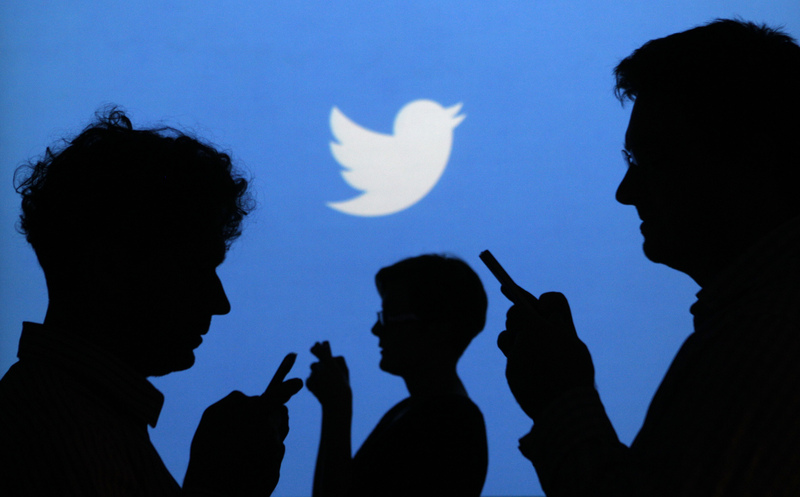 People holding mobile phones are silhouetted against a backdrop projected with the Twitter logo in this illustration picture taken in Warsaw September 27, 2013. On Nov. 13 JPMorgan cancelled a Q&A it had set up on Twitter for people to ask questions of veteran dealmaker and Vice Chairman Jimmy Lee. Responding to the bank’s own #AskJPM hashtag, hundreds of Twitter users posted sarcastic, witty and acidic questions.